The ancient Japanese concept of 'Takumi' is essential to all that we do. Our Takumi master craftsmen are the guardians of this artisan philosophy, applying the subtlety human touch to every aspect of Lexus design and development. 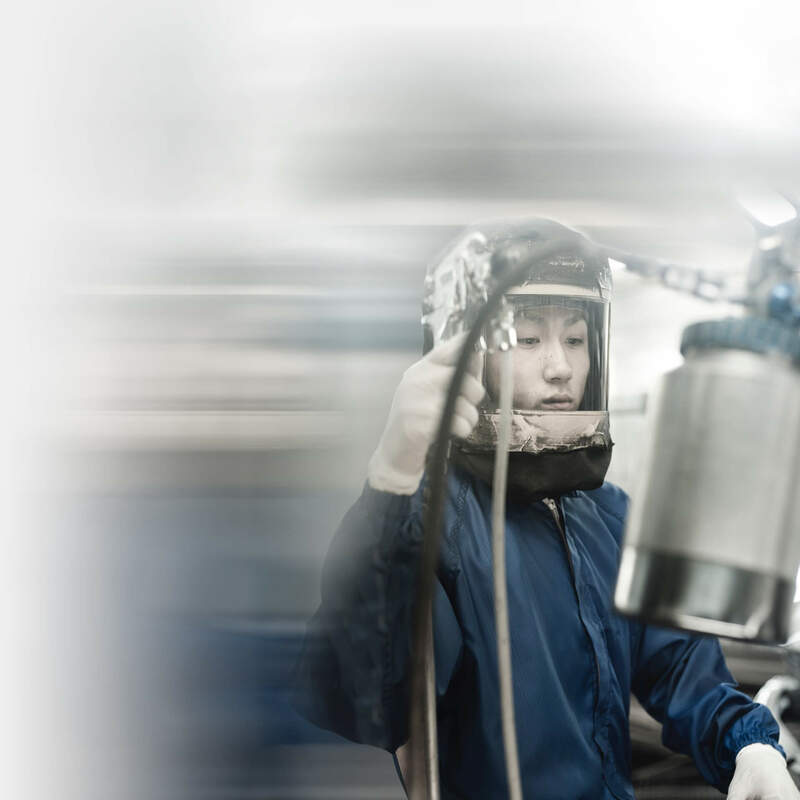 Lexus Takumi master craftsmen – or simply ‘Takumi’ – have a precious blend of skill and spirit. They're highly trained, with meticulous attention to detail. And they possess a true belief in excellence, stopping at nothing to achieve it. Each focuses on a particular element of the car-making process. It becomes their passion and obsession. Among the 7,700 workers at the Miyata Lexus Plant in Kyushi, there are just 19 Takumi. There is no higher honour within our engineering ranks. Each Takumi has at least a quarter of a century of experience in their field. Testament to these years of dedicated learning, their depth and breadth of knowledge is staggering – as remarkable as their refined intuition. As well as constantly honing their expertise, they share it too. Positioned as team leaders, they conserve Lexus traditions and foster innovative spirit in new talent, passing on valuable skills and processes, and making certain every aspect of every Lexus is flawless. Takumi are extremely well versed in the most cutting-edge technologies, and play leading roles in creating them. But many of their most renowned skills far precede the digital age. The Takumi’s heightened sense of touch is legendary. Their hands are their most prized tool. Wearing pristine white gloves, they use their acute sensitivity to feel for tiny imperfections and faults, all less than one millimetre in severity. In doing so, they guarantee superior quality. Before becoming a Takumi, candidates are rigorously assessed in a vast number of ways. One test is decidedly Japanese, and entirely about the power of human touch. It centres on the art of paper folding – origami. Aspiring Takumi are challenged to fold a relatively simple origami cat. But they must do it with just a single hand – their non-dominant one – and their creation must be fully formed and complete in under 90 seconds. Takumi expertise ensures unprecedented standards of build and finish. Our human-centred spirit and belief in perfection are sought-after and respected across the entire automotive industry. Today, many of Lexus’s robotic functions have been programmed with Takumi skills. This is not a case of machines surpassing human, handmade excellence. Rather, our technology learns from, and is nurtured by, the finest craftsmen. The result? Truly artisan automation. 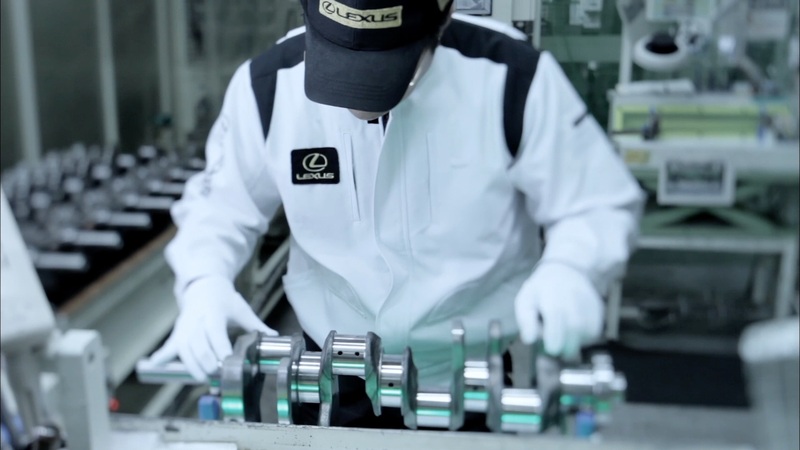 Takumi are the driving force behind Lexus’s craft, superior quality and attention to detail, but partnering with other artisans is also integral to our commitment to excellence. We seek out creators who inspire us with their vision and skill, and share our values. These collaborations allow us to offer radically unique touches in Lexus vehicles – remarkable aesthetic achievements you won't find anywhere else. The luxurious interior finishes available for the iconic LS are a fine example of this dedication. The importance of human touch cannot be overstated. At the same time, technological innovation also drives Lexus craft to new levels. It helps power many original techniques, and makes use of unconventional materials possible. When designing the new Lexus RX, we partnered with renowned instrument makers Yamaha to elevate the vehicle's interior like never before. A laser-etching process used in the creation of some of the world’s most exclusive musical instruments allowed us to forge stunningly precise real wood veneers.